David Yurman ring from the Cable Collectibles Collection. 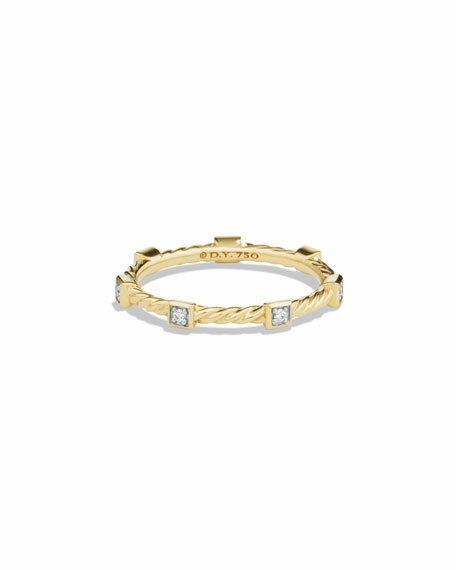 Spiraled 18-karat yellow gold band, 2mm. Diamond stations in square settings. 0.31 total diamond carat weight.